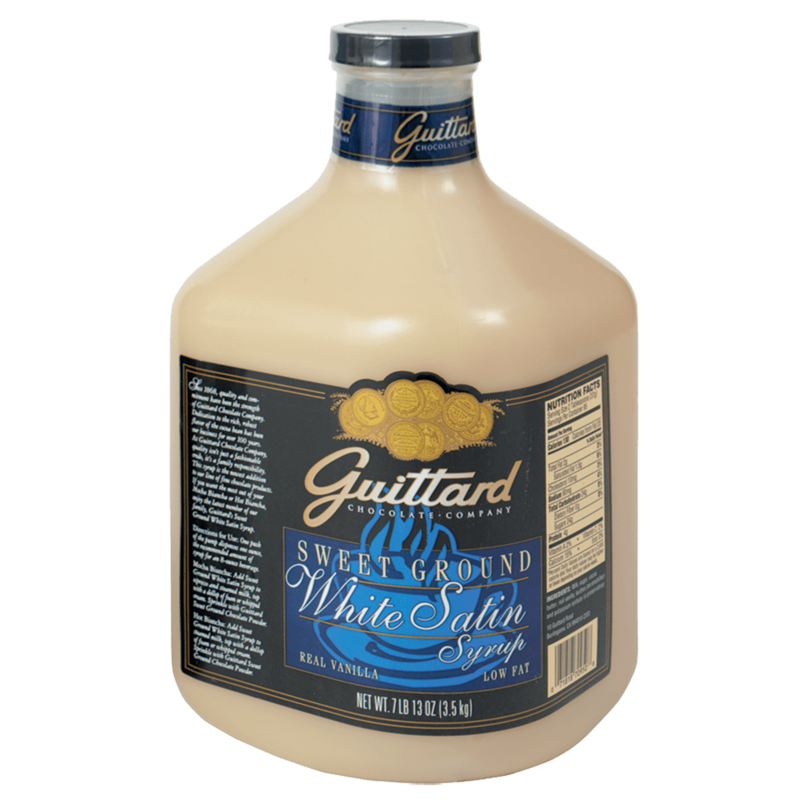 Guittard’s White Chocolate syrup makes the newest drink in the “Mocha” family. “White Chocolate” mochas. Rich cocoa butter and creamy flavor add a wonderful balance to any espresso based beverage. Great with added fruit flavored syrup. It is shelf stable and needs no refrigeration. Packed in a convenient, attractive plastic bottle for easy dispensing. One ounce of syrup can make up to a 12oz. beverage. 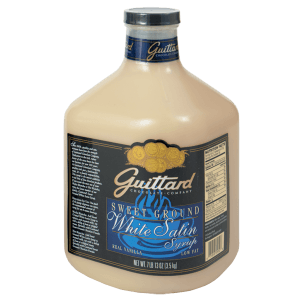 It can be used in granitas or any frozen drink as well.